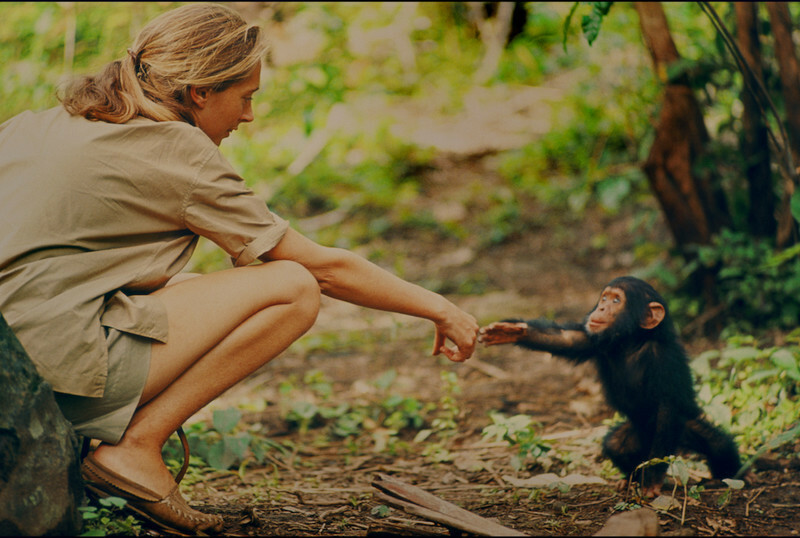 National Geographic’s enthralling documentary “Jane,” which offers a rare “you-are-there” account of primatologist Jane Goodall’s ground-breaking encounter with chimpanzees in the wild in the early ‘60s, first enchanted audiences on the fall film fest circuit. It then sold out its official U.S. premiere at the Hollywood Bowl in early October before a crowd of 17,000, where a 50-some-piece live orchestra performed Philip Glass’ wondrous score. “Jane” has also grossed $1.4 million since opening on Oct. 20, even though it never showed on more than 96 screens at one time. 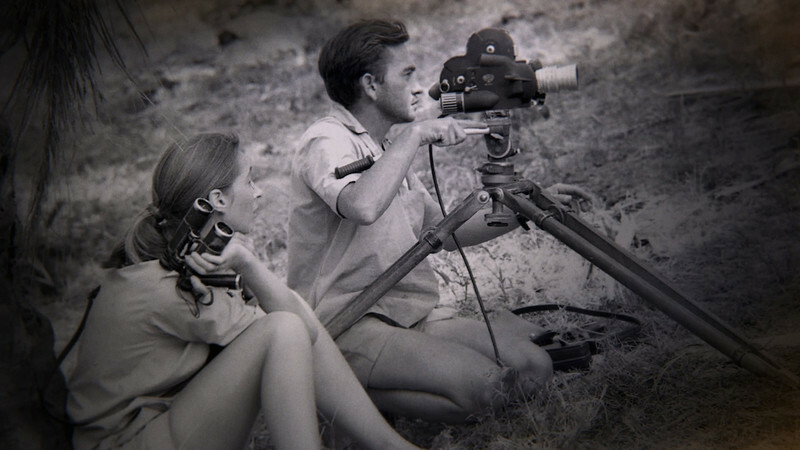 Recently, the non-fiction feature that relies on 55-year-old pristine footage of Goodall, her chimp companions in Gombe, Tanzania, and National Geographic photographer and videographer Hugo van Lawick, who fell in love with his subject while shooting her, has made the short list of 15 docs that are eligible to compete for one of five slots on the Oscar ballot, which will be announced January 23. RogerEbert.com had a chance to speak to filmmaker Brett Morgen (“Cobain: Montage of Heck,” “Crossfire Hurricane” and “The Kid Stays in the Picture”), known for his wizardry with using found footage to bring his subjects to life, as well as 83-year-old Goodall herself, who sees “Jane” as a chance to further spread her message of the importance of preserving wildlife and the environment for future generations. First, Morgen explains how he performed his usual magic with archival footage to make a cohesive and insightful whole. Congrats on having “Jane” make the Oscar short list for documentaries. You were nominated for 1999’s “On the Ropes,” a study of three young boxers that you co-directed. Documentaries seem more popular than ever. Or at least more numerous than ever. I feel over the past 20 years, there has been a growth and an evolution in the form aesthetically and more opportunities than before. But there is a problem in getting theatrical space. When we presented “On the Ropes,” “The Buena Vista Social Club” made north of $6 million. “The Kid Stays in the Picture” and “Bowling for Columbine” had really high numbers in 2002. “Kid” was 17th highest-grossing documentary with $1.4 million. Now it’s the 130th-highest grosser. But the last couple years, it has become challenging to secure screens when there is a blockbuster mentality and big studio films go out on 3,000 or 4,000 screens. “Jane” is sort of outside your usual comfort zone when it comes to subject matter. Your docs have focused on men such as film producer Robert Evans, grunge-rock icon Kurt Cobain and the Rolling Stones. How did having a female for once challenge you? Around time the project came to me, I was aware that my all films were about men. Maybe I was dealing with father issues, I don’t know. I started consciously saying to myself, “It would be nice to do a story about a woman.” Then this project came to me. It is a very different film. My movies are designed to reflect the essence of the subject in format and style. In this case, I was inspired and adopted my approach to the material from Jane herself. I became much more restrained. With Kurt Cobain, I indulged certain parts of my creativity. With “Jane,” we relied on audio reading of her 1999 book Reason for Hope. I wanted to respect the rhythm of her prose. Your wife, Deborah Eisenstadt, who is a filmmaker in her own right, is an executive producer on “Jane.” Did she give you input? She was the first person to read the script. I brought her into edit and she heard Jane talking how her mom, Vanne, always listened to her. My wife told me, "For women, all we ever wanted is to be heard. Someone to understand us for who we were. My father would comment on my looks but not ask me questions. That her mother listened to her gave her confidence." That observation really resonated. It is the heartbeat of film. The one thing that has just been amazing about the journey with this is, when I started it, I had very humble expectations. I thought it would be a filler film and take six months. That was three years ago. The budget took on life of its own. Within that time, climate changed so dramatically. We went from thinking we would have our first female president to now reflecting about values women bring to workplace. It’s really been fascinating to see footage from 55 years ago of a one-person crew be projected across globe and connect in such immediate way. National Geographic came to you with more than 100 hours of unseen footage that they found in 2014 and you initially said no, partly because you are science adverse. But what made you say yes? I was already committed by the time I realized what we had was not chronological. Then I saw the raw footage for a 1965 documentary narrated by Orson Welles. I couldn’t believe what I was looking at. It was as monumental as the moon landing. Something occurred that had never happened in the history of evolution, a coming together of apes and humans. And will never happen again since human contact with apes is no longer permitted. Hugo captured the moment so artfully on 16 mm with no scratches. I looked at the reel and couldn’t believe the opportunity I almost missed if I had not gotten that phone call – especially for someone who built a career fetishizing archive footage. There was no narration with the footage, save for Jane saying “Hello, Flo” to a female chimp. How did you come up with the solution of using an audio book to fill in the blanks? “The Kid Stays in the Picture” taught me the value of a book-on-tape adaptation. Not an adaptation of a book. While looking for sources for “Jane,” I came across writings and also searched for several interviews on tape. But with taped interviews, the subject describes things in a pedestrian manner, not the way they would write it. That is a reflection of her. The core of what we wanted to achieve. Much like Jane was able to study chimps in the natural surroundings by having enough patience to eventually gaining their trust, it sounds as if you had to do the same thing with her before spending two days recording at her home in Tanzania to get her personal reflections on her relationships with her husband and their son, Grub, who spent much of his toddler years in Gombe. We hadn’t met before doing the interview. I will say that when Jane met me, I was like a gnat who was taking her away from what want she really wanted to do, which is educate children. Not a 48-year-old documentary filmmaker. She was pleased when she saw the finished project but she made me work for the interview. The footage that Hugo shot on the Serengeti Plains, especially of when the oxen stand up to the lions who are trying to protect one of their herd, is incredible. It really is like “The Lion King” and the whole circle of life. 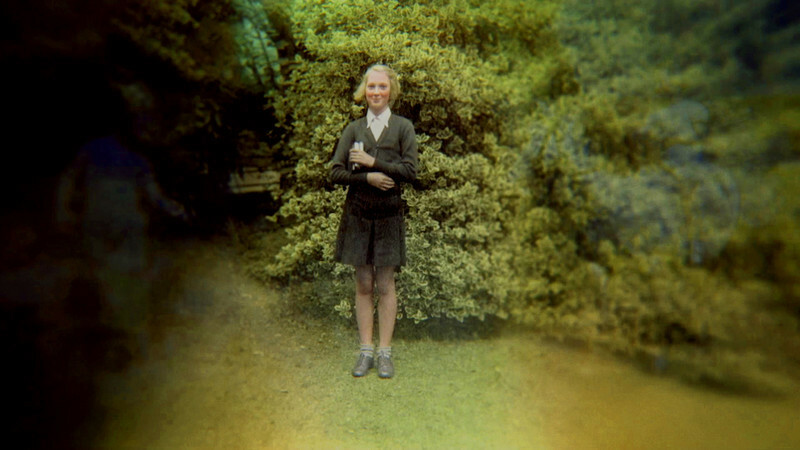 It is unusual the way Hugo filmed Jane since he saw her through the eyes of love. She was the case study for him. I read one review that criticized the footage since Jane often smiles when the chimps begin to trust her—accusing her of playing to the camera. But I think her happiness is because she is doing something she has dreamt about since being a girl. Her Tarzan-Dr. Dolittle fantasies came true. She was living out her dream. Sometimes Philip Glass’ scores make me feel nervous and agitated. But this music expressed intimacy and a sense of wonder. Is that what you were hoping for? I reached out to Philip when I was cutting the picture. 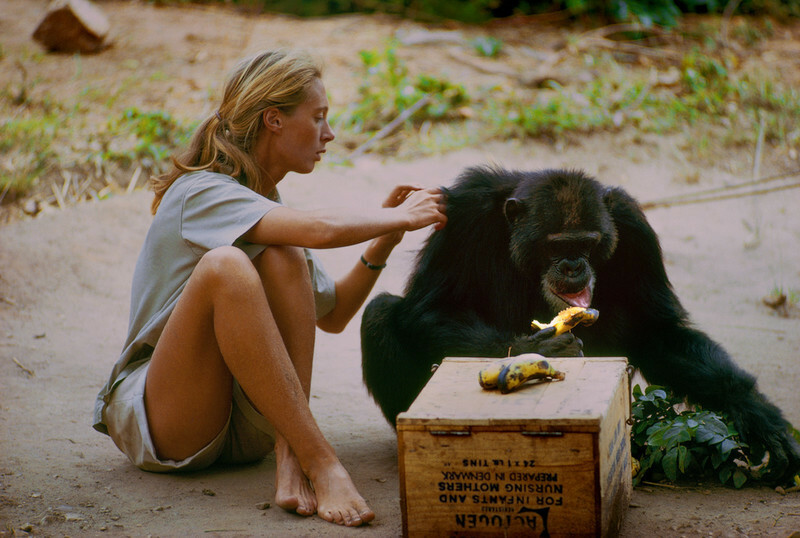 It was conceived as a cinematic opera of Jane Goodall’s life. When I received footage, there were no sound components. I wanted music to be the narration. There is something so endearing about an 80-year-old composer in his ninth decade and a subject from the same generation redefining their field. The iconography of it too striking to resist. Once he delivered final cues after orchestrating for six months, we re-edited the film to choreograph the score to the chimp movements and vocal sounds. It became magical realism. Which scene or sequence is your favorite or the most satisfying for you? The sequence of Jane and Hugo falling in love, leading to the proposal telegrams. At that moment, she is living her dream and life is perfect. Few of us ever arrive at that moment. Having been in Jane’s presence while working together and doing publicity, what did you learn about her you didn’t know from making the film? Her sense of humor. I most appreciate how genuine she is, how pure she is. There is no pretense to her. When I go to sleep every night now, I shut my eyes and know that she is working to make this a better place. It is comforting and reassuring. I sincerely hope she inspires a next generation of kids take on a role in protecting the planet. You have been a subject of more than 40 films. Some A-list actresses don’t have that many credits. And your work itself has inspired filmmakers. I just read one of the actors who played an ape in “2001: A Space Odyssey” watched footage of your work with chimps to help him prepare. You weren’t initially too keen to be interviewed by Brett. Hard to relive the past. But something sparked your memories as you watched footage of Hugo falling in love with you, much as he caught you on camera falling for the chimps you were observing. I thought I had made enough films. I absolutely thought, “Not another one.” But the people at the Jane Goodall Institute said, “Jane, the extra publicity will raise funds. It’s only a three-hour interview.” But it became two-and-a-half days. It was quite intensive, all morning and afternoon and into evening. I saw Brett’s team arrive and producer Brian Burk and they were putting so much of themselves into it. My mother always said, “If you do something, do it properly.” And the best I can do is to collaborate. I like that he used my voice and words, not some commentator. It made it personal. They weren’t doctored and made pretty. There was footage of mating and death shown, which never would have made it onto TV. The whole thing was moving. It took me back and captured the feeling how I felt. It made me nostalgic for the Gombe I love, not today’s. I, too, was fascinated by Tarzan growing up. I grew up on Johnny Weissmuller on TV. I never saw myself as Jane. You say you dreamt as a man and never felt fenced in by your gender. There was no TV for me and there was a war going on. For me, it was on radio. Mum saved up one time and we went to see Johnny Weissmuller, but he wasn’t Tarzan. Children have no opportunity now to use their imagination. I had a stuffed chimp named Jubilee and people think that was why I studied chimps. But as a child, it never occurred to me that I would go into a dark jungle and study any animal. Did Brett give you any say in what made it into the documentary and what didn’t? The film was already done when he came up. I had no say. None. The only thing I was cross about is that I want to put in a little bit about my dog, Rusty (a black and white mixed breed). He proved to me that animals have personalities, minds and emotions. But Brett dug in his toes there. Some of the most thrilling and touching moments come when you share physical contact with the chimps and they also embrace you. When did you become aware that interacting physically with them could be harmful to them and you? The polio epidemic that struck the community that is shown in the film probably came from human contact elsewhere. Nobody would do that now. But I was first out there, like an early anthropologist contacting tribes of people. Now, we don’t feed bananas, don’t interact and we are aware that disease could be passed. But I wouldn’t have missed it for anything. If I hadn’t fed them bananas, we wouldn't have had footage and National Geographic would have stopped our funding. I find it interesting that Louis Leakey picked three women as his “Trimates” team—you, Dian Fossey, who studied gorillas, and Birute Galdika, who tracked orangutans. Do you think it made a difference in your discoveries and relationship with the apes that you were women? I read it did help in that the natives were more helpful and responsive to you than they might be if you were a man. Definitely. Women made better observers. And the male chimpanzees were aggressive to Hugo when he arrived. How did you feel when you first saw “Jane”? What scenes or sequences stood out for you? I hope you felt a sense of pride from your accomplishments and also in the beautiful photography by Hugo. That one sequence on Serengeti with the lions being chased away by a herd of oxen is incredible. I was very moved and surprised. I did not expect to feel as I did. Brian brought the documentary over to UK. It did not have music then or outdoor sounds then. One of the things that makes it special are the wonderful sounds recorded by Bernie Krauss. He is the ultimate collector of nature sounds. He spent a one or two months recording in Gombe. Unfortunately, he just lost his house and all of his equipment in the California fires. He, his wife and cats survived. Luckily, he had his sounds backed up. I read that you admire the current "Planet of the Apes" films and especially Andy Serkis’ motion-capture work as Caesar. Have you met him? He also was great in "King Kong". I do like the films. There is too much at the end of the sort of typical Hollywood big-blockbuster eruptions crashing around the story and its message. They consulted with us about behaving chimp. I told Andy Serkis that I would love to have lunch or dinner with him, and we will probably get together in the UK. The head of special effects, Gino Acevedo, made me a bronze bust of Caesar. Has your son Grub seen “Jane” yet? And why, as you tell Brett in the film, does he hate chimpanzees even though he grew up with them? He and my 22-year-old grandson, Marlon, saw it at the Hollywood Bowl. He wasn’t jealous. But we had to keep him away from them because they are known to eat babies. What is the main difference between man and ape? Where we are different is the development of intellect. But why is the only intellectual creature destroying the planet? In 50 years, it could all be over. We have compromised our children’s future. But we are working hard to turn that gloomy picture around. I constantly travel all over the world and everywhere I go, young people tell me what they are doing to make the world better.